Listening to saving money advice – and learning how to effectively manage the money you have – are so important, no matter what your age. Many people do not understand how necessary it is to always save for retirement, unanticipated expenses, and special purchases. Money management is not taught in most schools, which is a shame. Often, well-meaning parents don't have on-going discussions with their children and teens about saving and spending appropriately. As a result, many young people, as well as older adults, have trouble juggling bills and end up taking on too much debt too soon. Therefore, here are some "do's and don'ts" for saving money. Put money in savings every week. Pay yourself first is the golden rule of saving. If possible, have part of your salary placed into your savings account instead of your checking account, or have deductions from your checking account placed into your savings account. Pay off credit cards as soon as possible. If you can, pay more than the minimum charge in order to get the balance down faster. Create a rainy day fund and put money in it. Experts suggest having six months worth of money in an easily accessible savings account in case you lose your job or have an emergency. 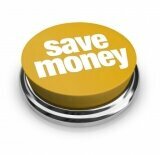 This saving money advice is one of the most important. You should build this fund quickly. Be wary of "sure thing" investments or opportunities. Remember, if it sounds too good to be true, it probably is. Create a budget and keep track of your money. You can do this manually by keeping track of expenses in a notebook, or you can find software or applications to assist you. If you are making investments, understand the risks involved. Investing can be risky and you may not be able to withstand the financial loss. Find investments that match your personality and lifestyle. If you are risk aversive, then invest in safe items, such as bonds, even though they may not have the best return. Review your statements. While it may be hard to look at low balances, it is important to examine statements for changes in fees, processing errors, and unauthorized activity in your accounts. Don't underestimate yourself or think you cannot save. Most people can save $10 a week if they are careful. It adds up quickly! Do not take on too much debt. Eliminate high-interest debt where possible. Do not function without a budget. It is vital that you know where your money is going and how you are spending it. This is important saving money advice, so be sure you understand where you are spending your cash. Do not invest all of your money in one place. Diversify! For example, do not invest everything in your employer's stock, but instead put a little aside elsewhere. Do not buy items you don't need, and especially do not buy them on credit. Once you place something on a credit card, unless you pay it off immediately, you are paying interest on something you shouldn't have purchased in the first place. Do not make major purchases without researching the item for quality and for price. If you must make a major purchase on a credit card, pay it off quickly to avoid interest charges. Here is an example for the Federal Deposit Insurance Corporation (FDIC): "If you pay only the minimum payment due on a $1,000 computer, let's say it's about $20 a month, your total cost at an Annual Percentage Rate of more than 18 percent can be close to $3,000, and it will take you nearly 19 years to pay it off." Do not wait to correct problems with your finances. If you have to delay doctor's visits, pay bills late, or use your credit card for everyday expenses, you may have a problem. Contact a reliable credit counselor if you have concerns.